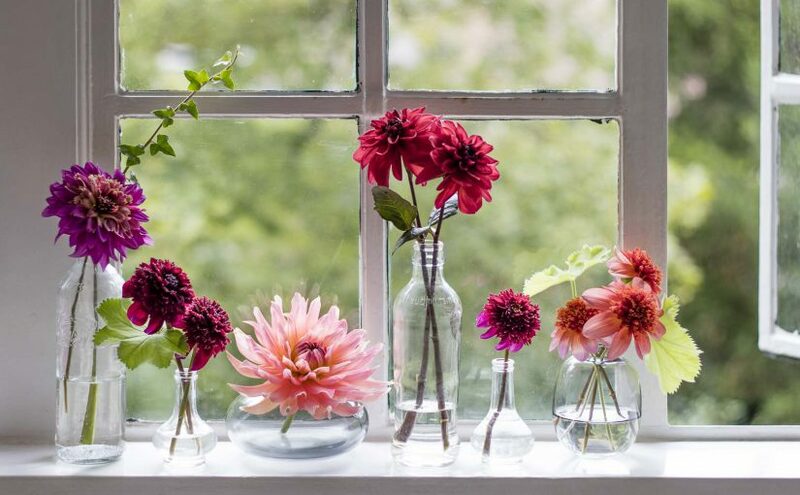 If you haven’t bought your dahlias yet, this post is for you. Even though it’s still weeks before planting dahlias, I have already ordered and received the new varieties I will be growing this year. I can’t wait to see them in bloom. Dahlias are cold sensitive and should not be planted until all danger of frost has passed. Most people won’t plant there dahlia until the Ice Saints have gone. The Ice Saints are four Catholic saints; St. Mamertus, St. Pancras, St. Servatius and St. Boniface. Their name days fall on the days of May 11, May 12, May 13 and May 14. We (at the allotment) always plant our dahlias a little sooner, somewhere around the beginning of April. And for my American readers: we are in zone 8a. 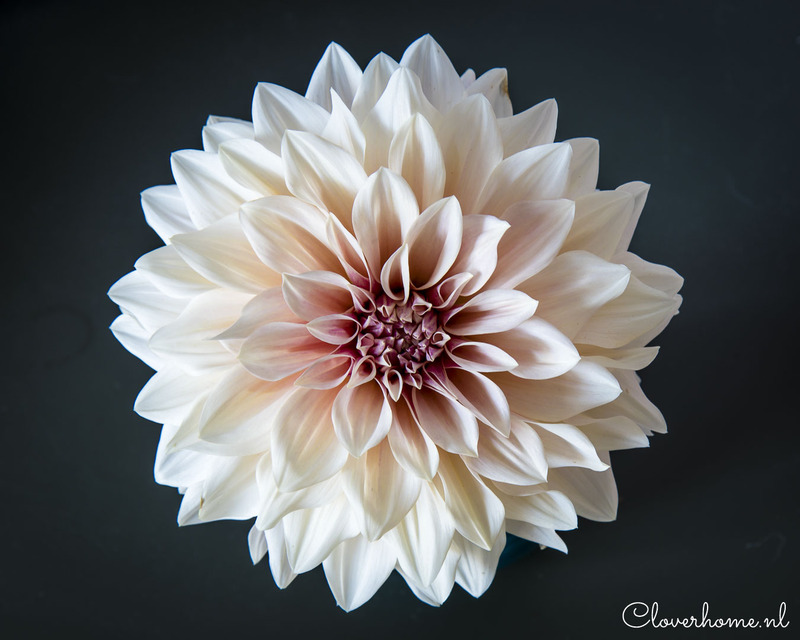 While waiting for the start of the dahlia season, I thought it would be a good idea to share my trusted favourites. Dahlia varieties I have been growing for a few years now, beautiful dahlias I will be growing again this year. Here are a few fabulous cut flowers, all highly recommended. Last year, dahlia Labyrinth was stealing the show in the garden. The healthy, dark-leaved plants produced an amazing number of large peach-pink flowers. Long, shapely petals curl and twist in different directions. The petals look like the most exquisite silk and catch the light beautifully. With long, strong stems and such an unforgettable colour combination, Labyrinth is a flower growers dream. It has quickly become a true favourite. 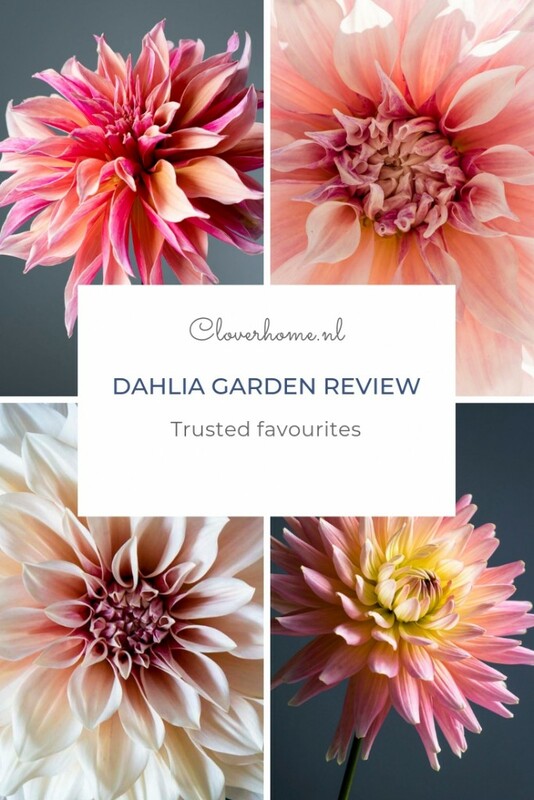 I even wrote an entire blog post about it: 3 reasons to grow dahlia Labyrinth. 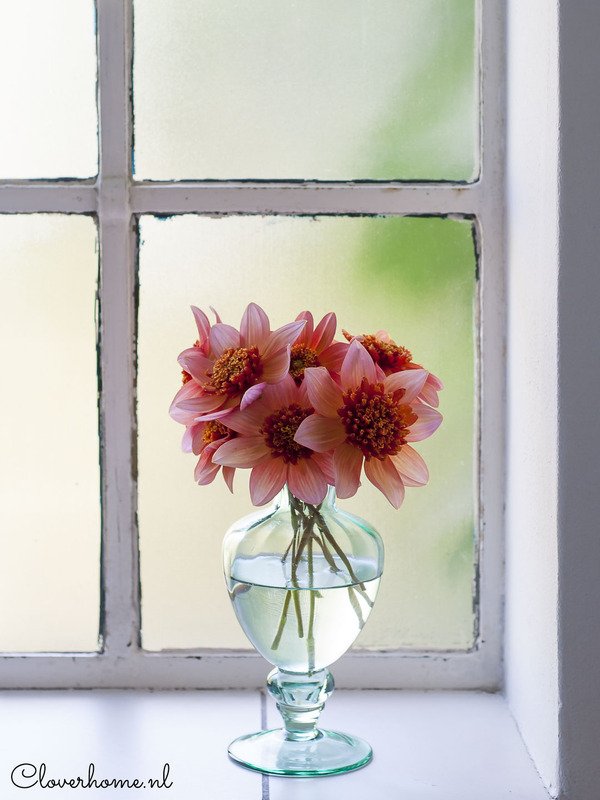 Not only is it a good cut flower dahlia, but it is also great for flower arrangements. 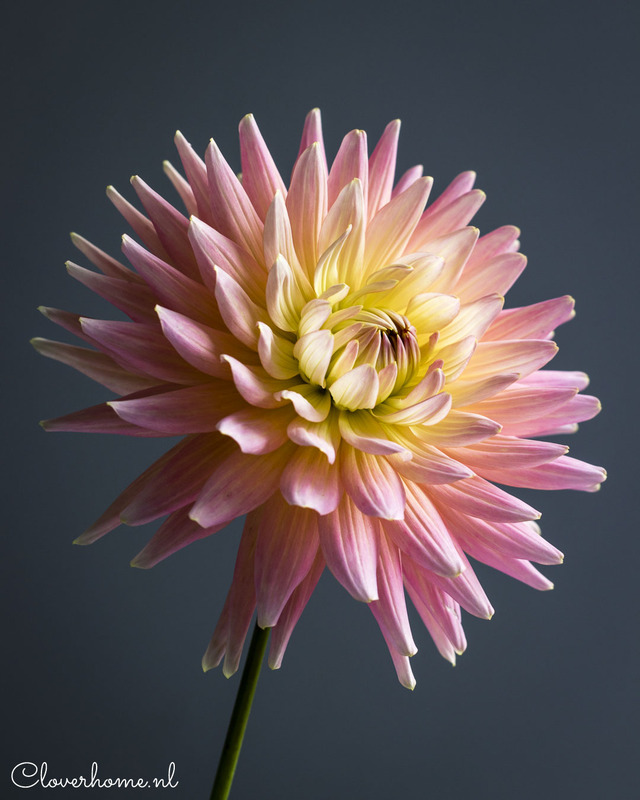 It mixes beautifully with cream and purple but also with other dahlia varieties in pink, peach, and coral. It’s a stunning flower, and great to photograph. 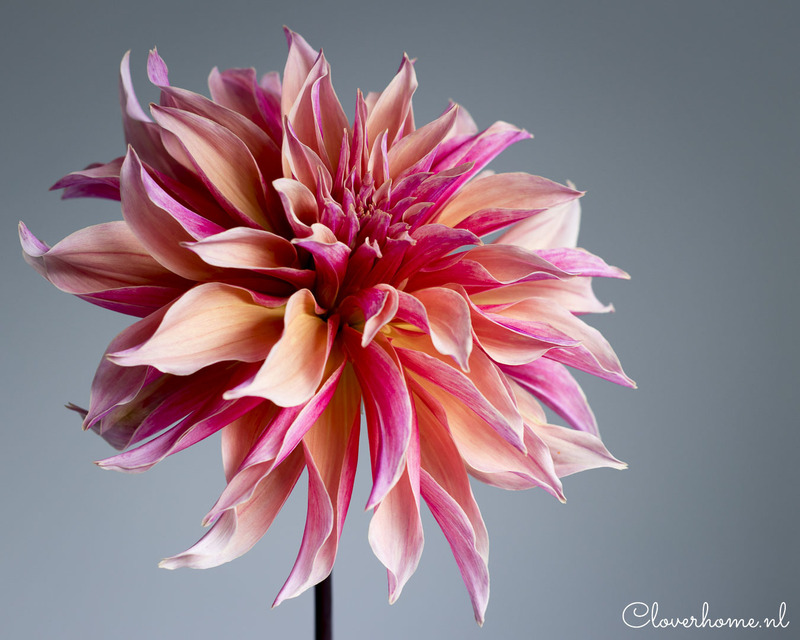 What more is there to say about dahlia Café au Lait? Everybody loves it, everybody wants to grow it. Ever since I started my dahlia garden in 2015, I have grown Café au Lait, and I think I always will. I can’t get enough of the huge pillowy flowers and soft colour. They always look cool and elegant. It really is a true favourite. 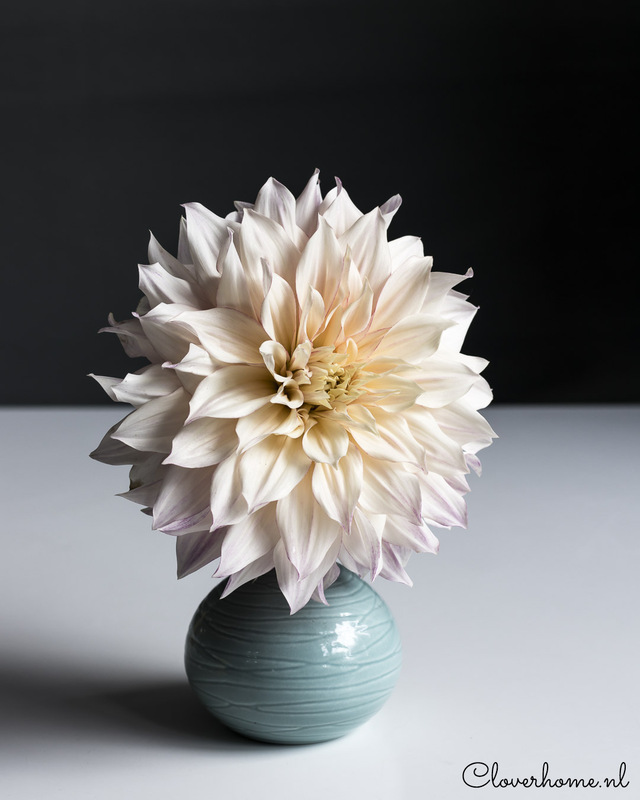 Did you know dahlia Café au Lait has been around since the 1960s? It was bred by a Dutchman called Bruidegom, which means groom. Very appropriate because about 10 years ago, Café au Lait became popular with brides and wedding designers. Since then it has almost reached celebrity status on Instagram. No two are exactly alike but I prefer the paler, creamy, coffee coloured flowers. Café au Lait is gorgeous on its own. I often display one flower in a small vase. 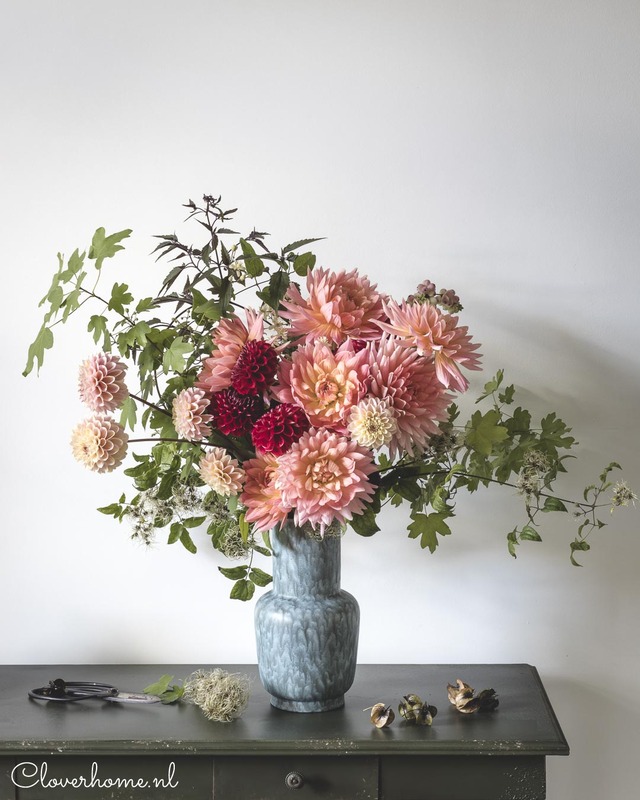 But they also look good in an arrangement with other dahlias like Preference and Zundert Mystery Fox as in this dahlia arrangement featuring Café au Lait. Bellelaine is definitely one of my favourites. 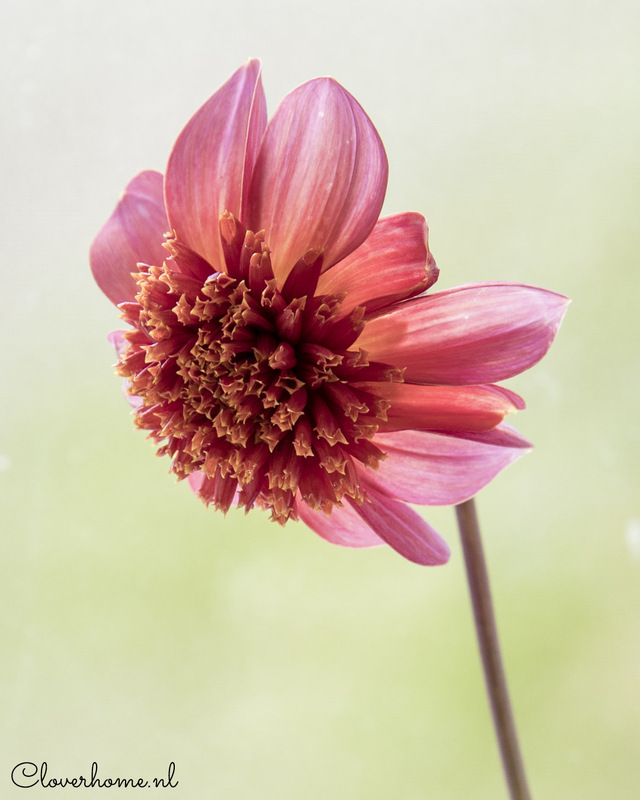 I am really proud of this beautiful dahlia because I grew it from a leaf cutting. When I discovered it in our community garden a few years ago, I immediately loved it. I searched for the tubers, but couldn’t find them anywhere. So, when the dahlias were planted in the community garden I took one leaf and put it in a pot. The first year I grew one plant. Last year I divided the tuber and grew two plants. They were amazing. The semi-cactus blooms are a soft peachy pink, fading to yellow towards their heart. Long, strong stems are perfect for arranging. 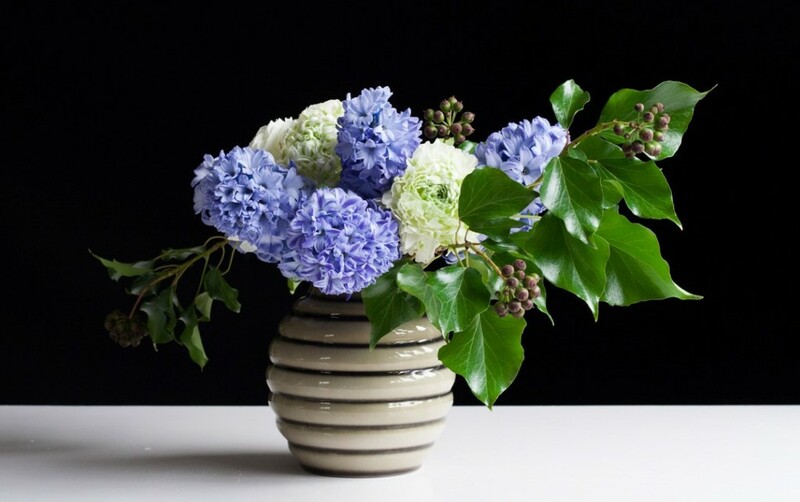 Look at the long-stemmed flowers in the vase below! 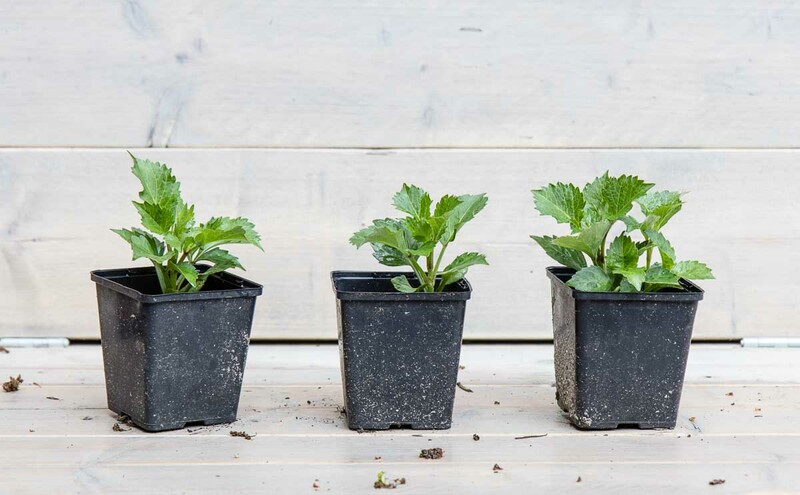 The plants are extremely productive, it’s a must grow! There is only one downside. This variety is no longer in production, so you can’t buy it anywhere. Sorry! This wonderful variety is another favourite. 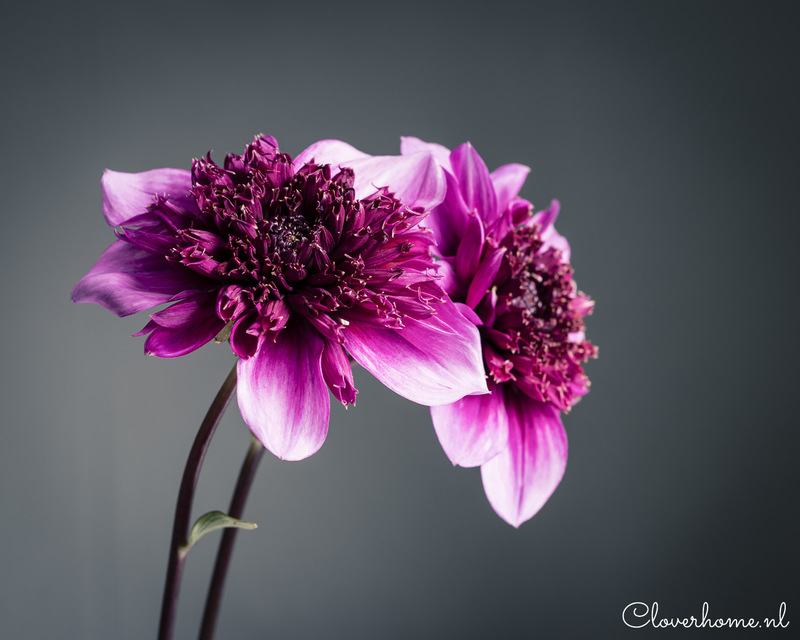 The colour of this anemone-flowering dahlia is amazing. The petals are a soft orange with a pink glow. The centre is a deep orange. The bees love them too because of the open centres. Every year, Totally Tangerine is one of the first dahlias to bloom. Plants are short and bushy and make a great addition to the front of the cutting garden. Not an excellent cut flower, they often lose their petals before I can even get them home (something to do with being pollinated). But the ones that make it, do have a good vase life. 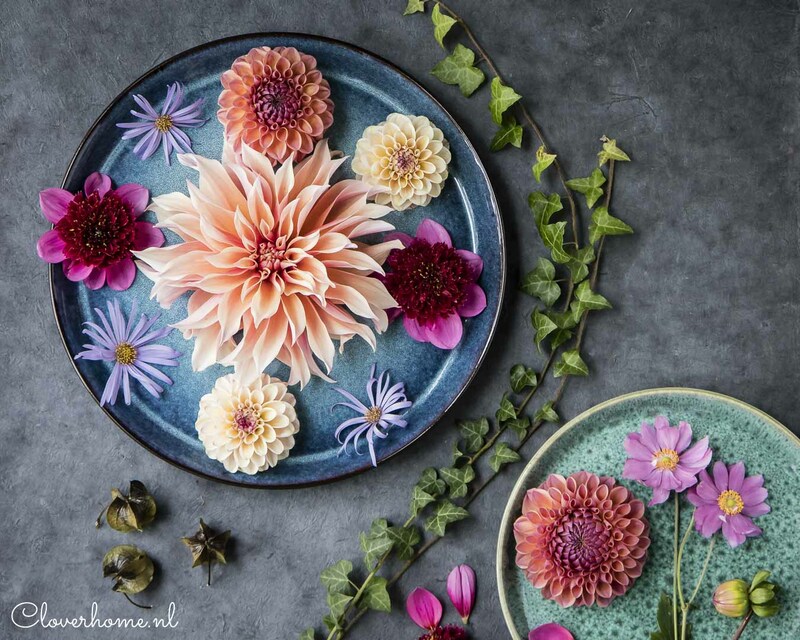 I hope you enjoyed this post and found some inspiration for your own dahlia garden. Next week, I will share my exciting newcomers, so I hope you will join me again. 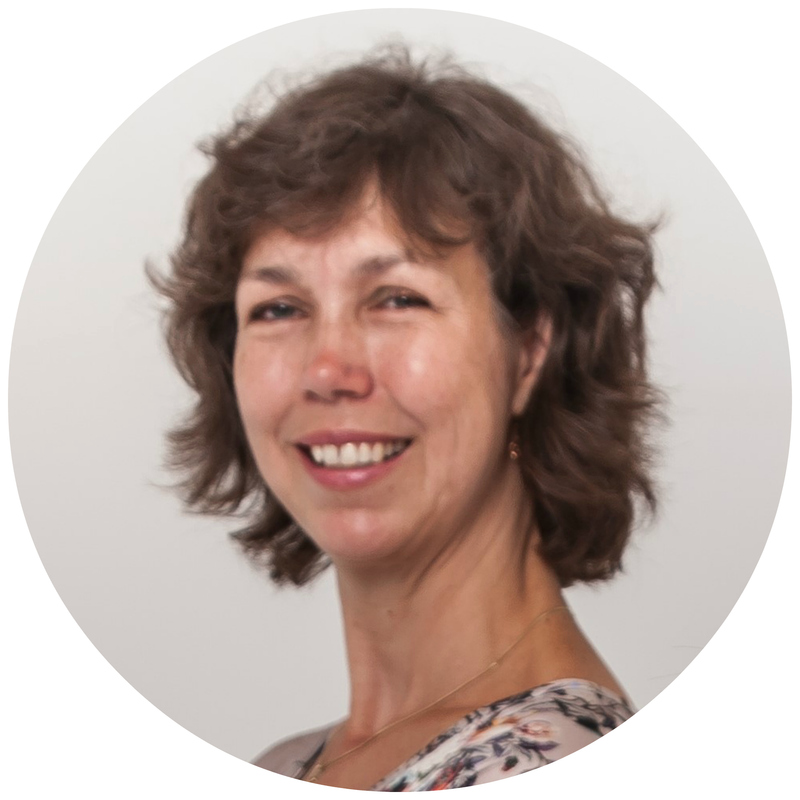 If you don’t want to miss anything from Cloverhome.nl, subscribe to my blog to get updates delivered right to your inbox. The Labyrinth definitely is my favorite of your beautiful dahlias and your flower arrangements are gorgeous!